First, your teacher will give you a class key, made up of 8 letters and numbers. 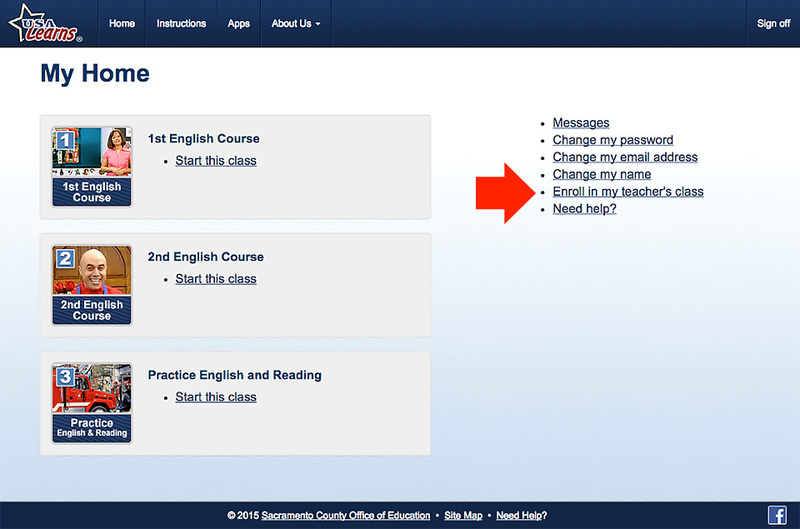 On your homepage, click the “Enroll in my teacher’s class” link on the right. Next, enter the class key into the form. 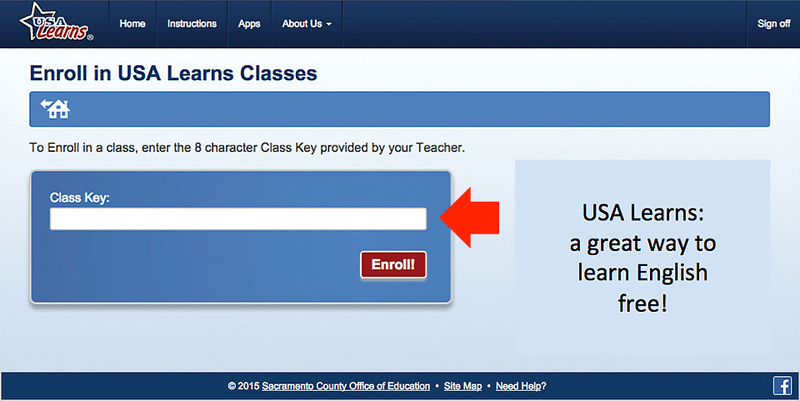 After you enter the class key, you will see a message that confirms your enrollment in the teacher’s class. Read the page carefully to make sure you are in the right class. The next time you study your English class, your teacher will be able to see your progress and scores. Your teacher will read your writing assignments and might also send you messages. How can you tell if your teacher read your writing assignment? After your teacher reads your writing assignment, you will see a note about it on your Message page. How can you tell if your teacher sent you a message? 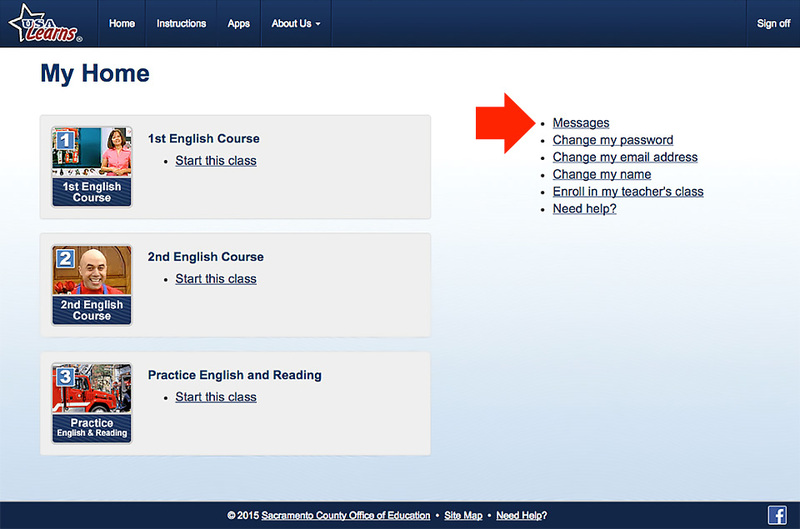 On your homepage, you will see an icon in the top right corner if your teacher wrote a message for you. Be sure to visit your Messages page to see notes from your teacher, which may include scores and comments about your writing assignments.